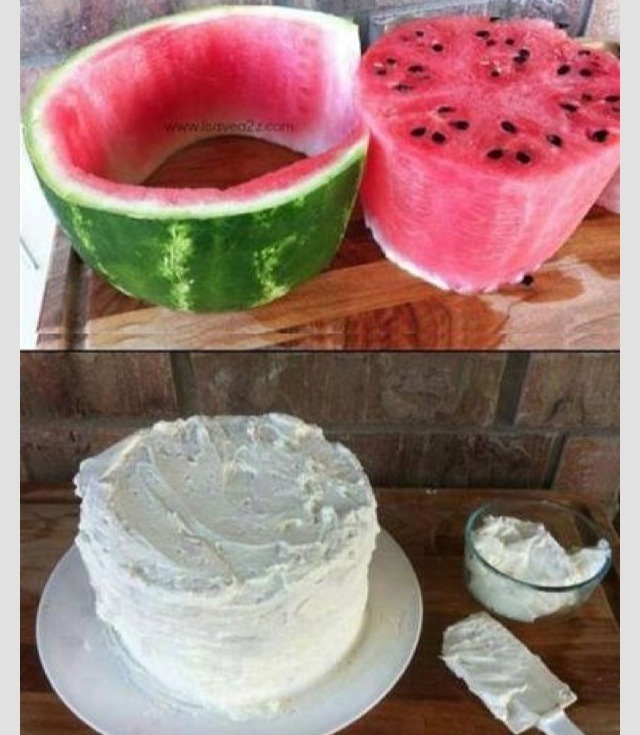 Take a watermelon and cut both ends off. Then cut out center. Cover with fat free whipped cream. 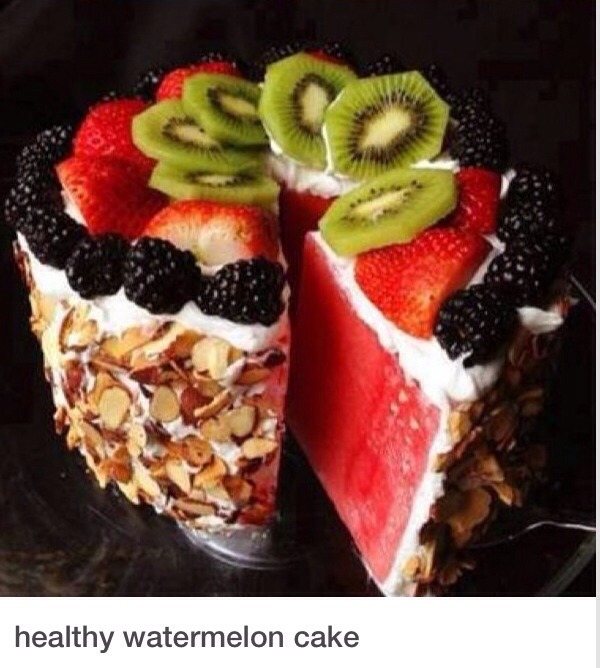 Embellish with other fruits and sliced almonds. Beautiful and healthy!